Temme, N.M. (1976). Nonlinear analysis, vol. 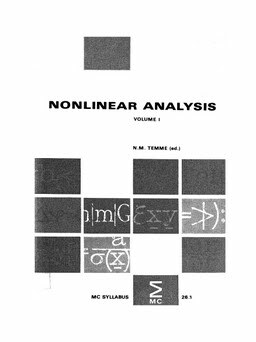 1 : proceedings of the lectures of a colloquium on nonlinear analysis, held at Amsterdam, January 1975. MC Syllabus. Stichting Mathematisch Centrum.